Nowitz Attorneys, (formerly Nowitz Incorporated Attorneys) was founded by Len Nowitz on 2 May 1992. 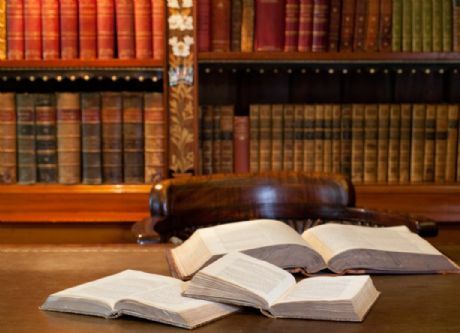 Nowitz Attorneys has built up extensive experience in the fields of Litigation, Commercial and Corporate work. The firm is headed by Len Nowitz. He employs a team of highly competent and experienced attorneys, support staff and Counsel, both Senior and Junior Counsel. Our success rate with matters is extremely high. Our turnaround time on matters is quick, but of course subject to the facts and circumstances pertaining to each matter. Len Nowitz is insistent that matters are finalized as soon as possible. To expedite matters, an attorney is dedicated to a particular client so that there is a single “port of call” for enquiries and reporting. The nominated, dedicated attorney has a support team to assist him, comprising other professionals and support staff, such as a para-legal and secretaries. One of the biggest complaints from clients about law firms in South Africa is the lack of communication between client and attorney. We constantly work very hard to avoid a situation of a client not knowing what is happening in their matter/s. Nowitz Attorneys prides itself on individual professional treatment of both corporates and individuals. Each and every matter is given the attention it deserves, where the client is advised with regard to the merits of each matter, its legal rights, remedies, obligations, liabilities, benefits and exposure. The client is also advised on what the commercial realities are in terms of its matter(s), the special circumstances pertaining to the issues of each matter and how its rights should be pursued and safeguarded. We as the attorneys have a duty to advise the client. It is the client who must then make the decision whether or not to act on such advice. Nowitz Attorneys does not pressure its clients into following a path. Rather you are advised with regard to the options open to you and professionally inform the client of what is in its best interests with regard to a particular matter. We offer you the best possible advice, for the right reasons, at a market related price and deliver service wherever reasonably possible, including after hours to meet the needs of each matter. Our client portfolio has been built up primarily through word of mouth, referrals from existing clients and interacting with members of the public, who once exposed to our professional services, have elected to instruct us in matters. Our client base includes numerous corporates, certain of which are national and off-shore corporates.